Please scroll down to view the products. Tuning forks are one of the fastest growing areas of therapeutic sound methods. There is a growing body of research on their effectiveness in application to mood disorders, states of relaxation, chronic joint discomfort, pain relief, even the latest science on their effect on nitric oxide release in our cellular cycles. We are now adding Sunreed's Exclusive Weighted Tuning Forks, designed to provide the historically and scientifically known effectiveness that musical harmonies and binaural stimulation may provide, as well as a new methodology of 'binaural harmonics.' See our link to these sets below, for more information on these. 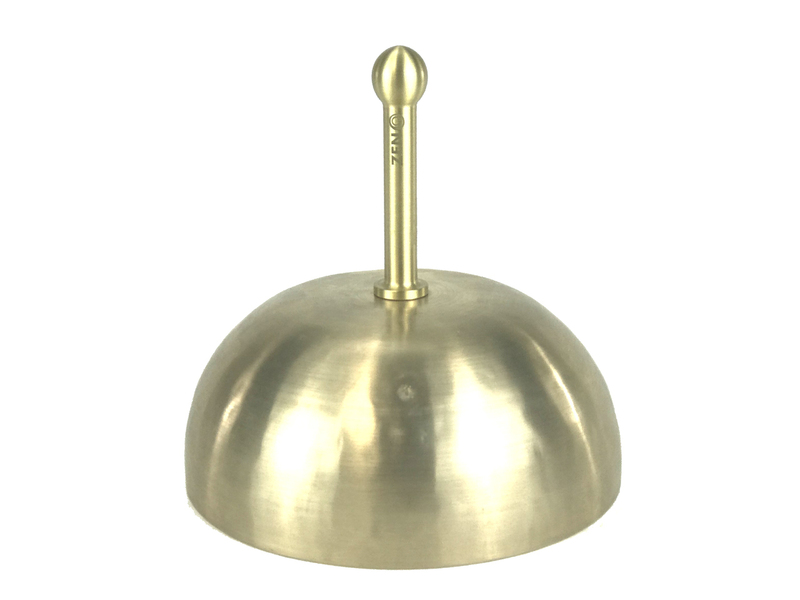 In general, non-weighted forks are best used for their acoustical effect (listening.) The weighted forks (extra weight visible on the end) carry vibration deeper into tissue, so are excellent for direct therapeutic use in relation to our physiology, work with the chakras, etc. Our own Crystal Attenuators, designed to fit most tuning forks, (and all tuning forks we sell,) have a crystal gemstone attached to a stainless steel foot, which also has a "Flower of Life" lasered into the head of that foot. Because of the size of the crystal, the extra area of tissue these will covere when applied to the body, will amplify the vibrational effect of the tuning fork itself. But now, the effectiveness is also coupled with the use of crystal energy, and the Flower of Life sacred geometry. The practitioner can now accentuate the effectiveness of the weighted forks even more through their relationship with the crystal, and their intent to use the Flower of Life design on the attenuator. 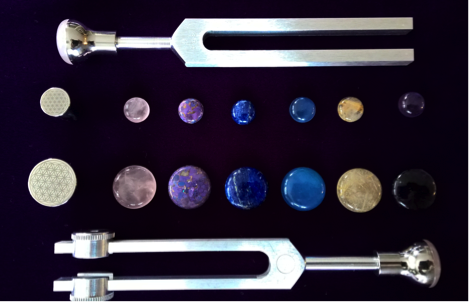 Zacciah's picks: We are especially excited about the introduction of our new full octave, 8 tone, weighted fork sets which you can choose in either 440 hz or 432 hz, to use as a complementary tool for chakra clearing and alignment, or the effects of the harmonics within the octave. And, moreso, we are excited about the new potential of using these forks in 'harmonic binaural' pairing, a methodology we believe we created, first in crystal bowls (see our crystal bowls or ask us for advice on these,) and, now, in tuning forks. We have never seen these available from any other provider. For a starter set, I, also, love the non-weighted Body Tuner's perfect fifth for deep relaxation. For weighted forks, I love the "Luna Octave" set from Ohm Therapeutics, though these can be combined with a Mid-Ohm tuner to get the octave and fifth combination of harmonies for even richer states of relaxation. The Clear Path are unique, inspired by the work of a respected leader in the field of sacred geometries. There are many possibilities of tuning forks we now offer. And, if you find it at all confusing, something else we offer which many companies do not, is free consultations with skilled practitioners to assist you in making your best selections! So Call us!!! We answer the phone!